Since 1907, W.F. Hann & Sons has been considered the leader in handling AC repair work, AC installation and any AC service for businesses and residents throughout the Cleveland Metropolitan Area and Northeast Ohio. We are noted for promoting the long-standing traditions of excellence. W.F. Hann & Sons has been delivering safe and dependable AC repair work, AC installation and AC service procedures for over 110 years. Our customers understand that we are committed to offering the best AC service they deserve. What’s more, we are fully capable of managing any and all malfunctions and restoring air conditioners at prices that are both competitive and affordable. 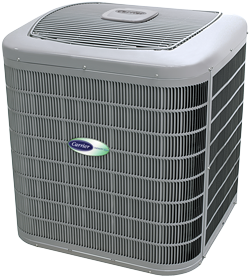 Consequently, it makes perfect sense that whenever Gates Mills residents are searching for unmatched AC repair, AC installation or AC service, the only name they need to know is W.F. Hann & Sons. Located in Cuyahoga County, the Village of Gates Mills, Ohio is a suburb of Cleveland with over 2,000 residents. W.F. Hann & Sons at 26401 Miles Road in Warrensville Heights is a little over 10 miles southwest of Gates Mills. Gates Mills residents, who require AC installation, AC service or AC repair work, reach out to W.F. Hann & Sons’ NATE (North American Technician Excellence) certified technicians. Our technicians are consummate professionals who will ensure to promptly and expertly manage all our Gates Mills clients’ needs. We have the talent and expertise necessary to help Gates Mills customers have a cleaner and healthier environment at an affordable price. W.F. Hann & Sons strives to not only meet the expectations of its Gates Mills customers, but we are known for regularly surpassing them. With our advanced background, W.F. Hann & Sons makes sure that their clients get the essential AC service, AC installation and AC repair work they deserve. Client satisfaction is our primary objective, and we make every effort to customize all AC service systems to their specific needs. W.F. Hann & Sons has the gifted AC repair and AC installation technicians who are completely insured and licensed in all AC services. In addition to being factory-trained, clients can always count on our team to be respectful and courteous. For any unforeseen emergencies or to schedule an appointment for AC repair, AC installation or AC service, call W.F. Hann & Sons at: (216) 831-4200, today.